A week-long celebration of Caribbean music and global carnival culture. For thousands of people in Brooklyn, Labor Day will begin before dawn with J'ouvert, the ecstatic street party that traditionally precedes carnivals everywhere, from Trinidad to London. Flags will be waved, paint will be thrown, and revelers will dance across Crown Heights — and that's just the beginning. After daybreak, the West Indian Day Parade will take over Eastern Parkway, with people chipping, winding, and masquerading for miles to a soundtrack of blaring soca, calypso, and dancehall. Though the annual event has been marred by headlines about violence and reactive overpolicing, it remains one of our favorite parties of the year: a massive celebration of freedom, self-expression, and healing. 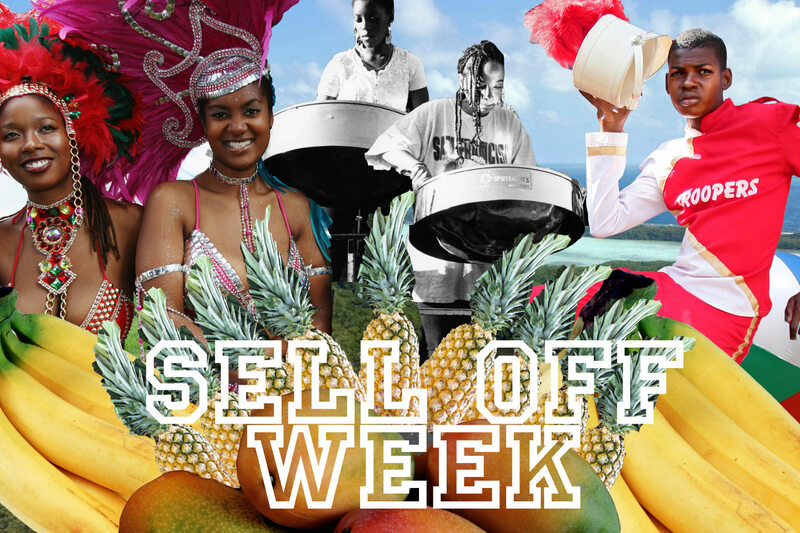 And so The FADER will be gearing up for the 2016 West Indian Day Parade with Sell Off Week, a full week of features about Caribbean music and global carnival culture. Stay posted for interviews, essays, and must-listen playlists to get you adequately amped. See you on the road.